In Europe, Volkswagen's BlueMotion branded cars are their no compromise fuel efficiency models. None of them come to the USA, but that could easily change with the release of the Passat BlueMotion. 42 MPG and no hybrid or diesel tech. At all. What it does have is a wee little engine under the hood: A 1.4 liter four cylinder that puts out just 150 horsepower and 184 pound feet of torque. Direct injection and start stop tech make VW say that it will achieve 42 MPG on the highway, which is right in line with the Passat TDI. 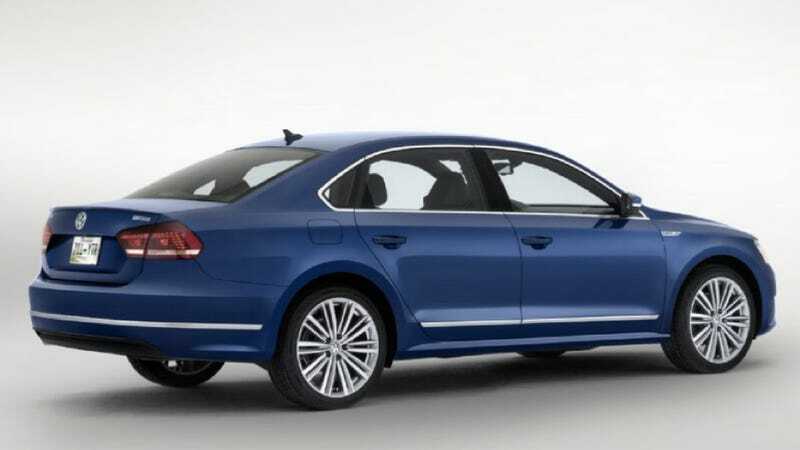 The concept is based on the US market Passat, which means it will almost definitely make it to production. Question is, with stats that are basically the same as the already available Passat TDI, what is the point of selling a similar, gas powered, MPG-machine? The key might be the fear that is harbored for diesel by a large number of Americans, but hopefully they'd also be willing to trade performance to get that efficiency.